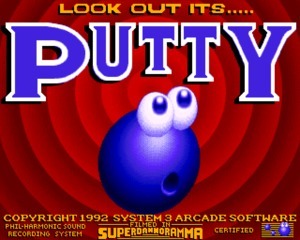 Putty is a 2D action platformer created by System 3 and produced by Mark Cale (the people behind the Last Ninja series). 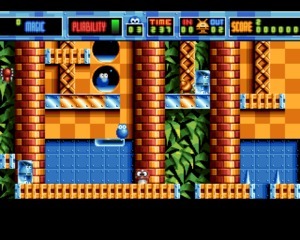 Putty is a 2D action platformer created by System 3 and produced by Mark Cale (the people behind the Last Ninja series). 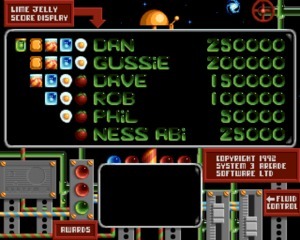 It was published in 1992 for the Amiga. 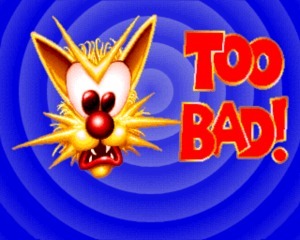 One year later it was ported to Amiga CD32 and SNES and released with a different title (Super Putty) although the game was the same. The best part of this funny platformer is the main character, Putty, a blob that can stretch himself to reach distant points, can unleash a long-range punch, or flatten himself on the floor to absorb enemies. 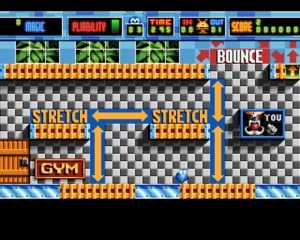 He can also inflate, to protect from falling, and explode to kill all enemies on the screen. 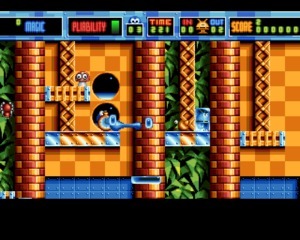 The gameplay is brilliant and rich in humor, making Putty one of the best platformers created for the Amiga.